In a technological society that demands immediate gratification, MobilePawn is an idea whose time is long overdue. The creation of the pawn industry’s first mobile app ushers us into a brave new world of customer service and convenience. 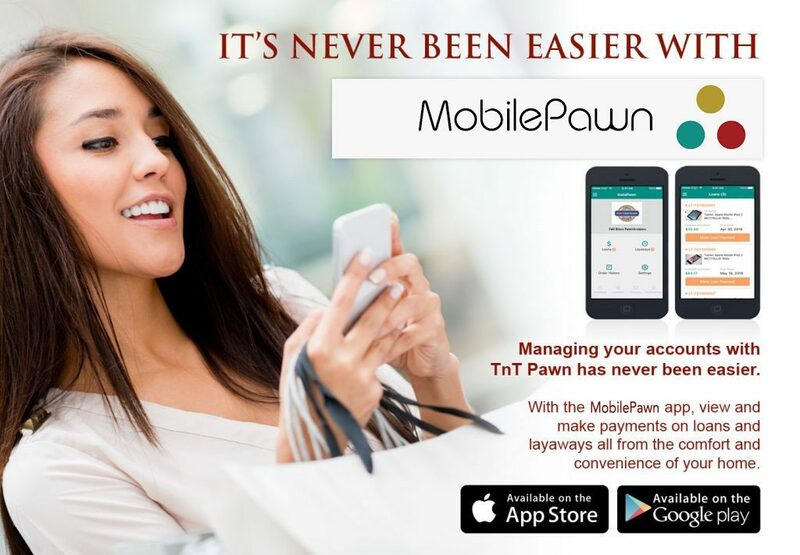 With MobilePawn, you now have access to TNT Pawn through your mobile device in a downloadable app that offers robust functionality and features you’ll just love. From push notifications and loan reminders to the ability to make payments and keep track of loan transactions and balances, MobilePawn will drastically increase your overall satisfaction. And of course you’ll have the ability to shop 24/7! TNT Pawn is currently one of the first companies to utilize this technology!